When I was originally diagnosed with Exercise Induced Asthma (EIA), I was given a prescription for four different daily medications to the tune of $150 per month and was told to swim or walk, not run. That was unacceptable to me. I wanted to run, but “couldn’t.” I went from not being able to run .25 of a mile before I was completely out of breath (and suffered for two days afterward) to running the Los Angeles Marathon medication free. It took me several years to get to that point, and there were five 13.1 events that led up to it, some with the meds and some without, but I got there. I found another way around the block to live the way I wanted to live. Bob Lujano is also a man who has found another way around the block to live the way he wants to live. He also was given a death sentence, but for real, at the age of nine. While deep in a coma from having all four of his limbs amputated, and wrapped like a mummy (because the meningococcemia bacteria had also eaten his flesh), he sat bolt upright. He stared ahead like a zombie and his mouth was moving. “Bobby, who are you talking to,” asked his Grandmother. He continued moving his mouth and then just as suddenly, lay back down. His grandmother looked at the monitors for verification that something had just happened but they continued their slow, methodical beep. He was in a coma. She made the sign of the cross and pulled her shawl tightly around her. That pivotal scene bothered me for years as I struggled to write and publish his book; in large part because losing his limbs wasn’t the whole picture. He had also been raised by the belt, abused by his grandfather, and abandoned by his mom. Baseball was his outlet; he was a star on the field. He dreamt of a professional career like Pete Rose. At the point of having both legs and both arms removed, it is safe to say he had quite literally lost everything: his dignity, his mom, the only tool in his arsenal (baseball) to connect with his dad when he wasn’t getting the belt, his self-esteem, his dreams, half of his body, it was all gone. It was from this posture, of having absolutely nothing (and seemingly nothing to look forward to) that he chose to live. 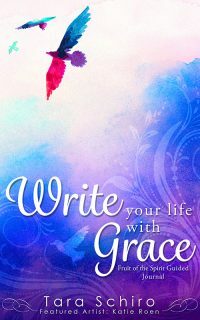 The offer of life and his choice to embrace it was so radical, I couldn’t understand it. He chose to stay and live as a quad amputee. Life gave him grueling and painful hours of chemical baths and rehabilitation and prosthetics, people staring every single day, relationship struggles, job struggles, education struggles, and having to explain on a regular basis how he eats pizza with his elbows. Even though I conquered my asthma through running, it took writing Bob’s story to fully understand what it means to be fully alive. Complaining isn’t living, it’s copping out. Sitting on the sidelines because “we can’t” is believing a lie. Blaming society or other people is playing the victim. Not moving forward for fear of failure is giving up. Carrying bitterness or anger is self-sabotage. Not participating because we aren’t as fast or as in shape or as graceful or as smart leaves us on the bench. That is not living. It is sitting in a cage. Bob didn’t choose any of the above; he chose life. 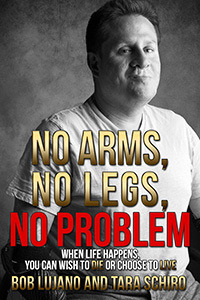 He earned a master’s degree in Sports Management, a bronze medal in the 2004 Paralympics for quad rugby (a full contact sport), co-starred in the Academy nominated documentary Murderball, was a guest on Larry King, works full-time at the Lakeshore Foundation as an Information Specialist for NCHPAD, The National Center for Health, Physical Ability and Disability, owns his own home, owns and drives his own car, is a Sport Laureus Ambassador, President of the USQRA, The United States Quad Rugby Association, is a national and international motivational speaker, types 35 words-per-minute with his elbows, and lives with no caretakers. He is completely independent. He never complains. Ever. He is grateful for everything he has been given. Living with EIA in comparison to living as a quad amputee, makes me feel silly. There’s no comparison to the enormity he deals with on a daily basis. However, at the core, the decision to do life is the same. Our daily experiences hinge on our definition of the word life. Do we simply exist, just get through the day, or do we run after our dreams and goals, run towards challenges and obstacles, run towards who we were created to be?